The next update to the Super Game Module has a new-format cartridge slot! I just signed up for Opcode's Super Game Module 2 Early Adopter newsletter and received some pretty cool insights about the upcoming module. I signed up via a Facebook mobile post, so I don't believe it's the same as the sign up on their Opcode website. As of this writing, the site doesn't seem to have been updated since 2017! They seem to be handling news via email newsletter and selling games on the AtariAge store. Not sure about the status of their website. I've had a Super Game Module for about a year and the games are terrific. I can play my existing Colecovision games or SGM enhanced games in the colecovision's native cartridge slot. This changes with the second iteration of this hardware. The SGM 2 has three components: The SGM 2 module (with unique format cartridge slot), SGM2/OMNI game cartridges, and the Super Game Controller. Development of the SGM 2 seems concurrent with the OMNI game console. The big change is two-fold. The SGM 2 has a unique cartridge slot designed for SGM2 and OMNI games. The SGM 2 uses the same game carts as it's upcoming Omni game console. 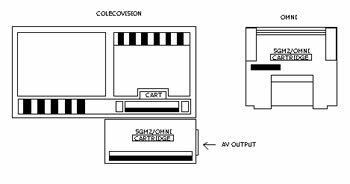 This means you can purchase the SGM 2 for your existing Colecovision console or buy the new OMNI console to play those same games. Keep in mind the older Coleco games will not play via the SGM2 or OMni. This is an example of forward compatibility as far as the SGM 2's relation with the OMNI. 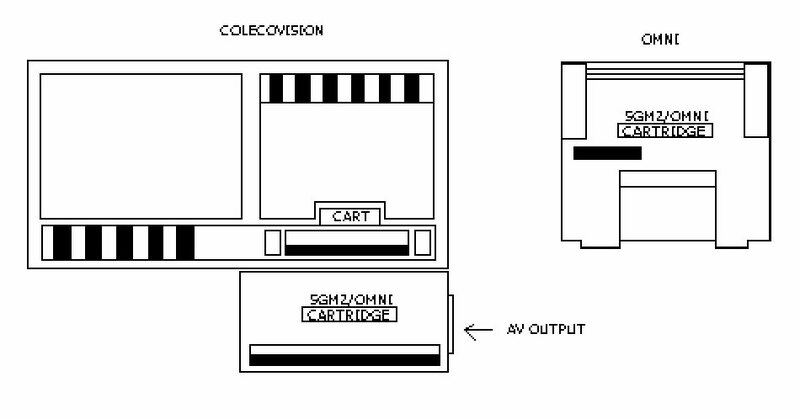 Any SGM 1 games you own will play properly with the SGM 2, but of course you'll place those games into the Colecovision's cartridge slot, not the SGM2. I've equally disliked both Intellivison and Colecovision controllers. The integration of the keypad and position of firing buttons is what ruins is for me. Side-mounted buttons don't agree with me. The OMNI will have a custom controller, as on would expect. The cool factor is it can also be used with the controller port on the SGM 2. From what I read, the same controller works on the SGM 2 and OMNI, however the SGM 2 requires a different connector. It would stand to reason a new console would employ SB-style controller ports, but why not put that kind on the SGM 2? Maybe there's just an adapter you need for the OMNI controller to attach it to the SGM 2. My other question is about the number of ports... does the SGM have 2 controller ports? More details will follow from Opcode as the system progresses. It looks like the OMNI will be going through it's final paces of completion in late Summer 2019. More info coming in their next newsletter.